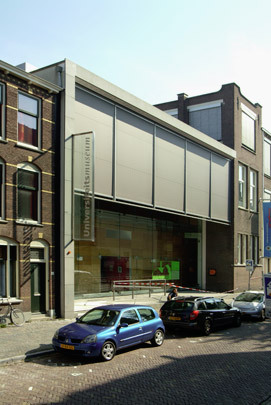 One of the two existing buildings on this site has been replaced by a glass volume to accommodate the new museum. A new exhibition 'box' clad in perforated cherrywood panels sits half in the existing part, half in the new. Circulation takes place in the space between this furnishing unit and the old and new external walls. The all-glass facades of the new portion ensure that the museum's structure can be seen from the street. The Botanical Gardens belonging to the museum are likewise made visible to passers-by.